This image was sent around with the email that contained the text in this post. 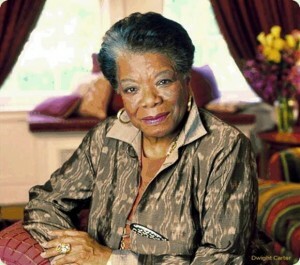 In April, Maya Angelou was interviewed by Oprah on her 70+ birthday… Oprah asked her what she thought of growing older. Regarding body changes, she said there were many, occurring every day…..like her breasts. They seem to be in a race to see which will reach her waist first.